You hear stories about strange encounters in the wild but with this video, If I hadn’t seen it I wouldn’t have believed it. 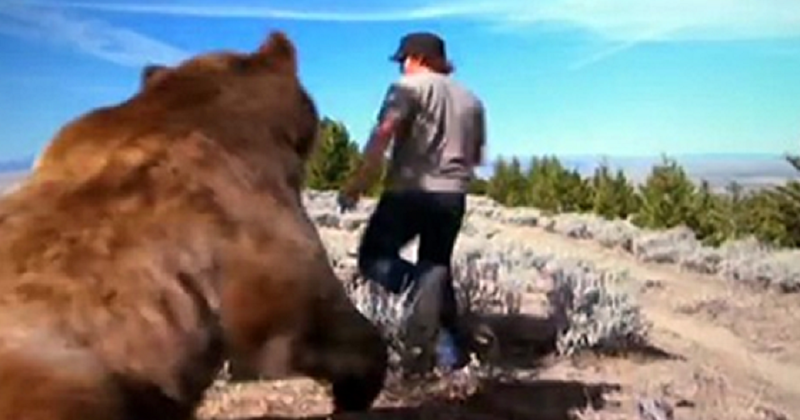 While on a hike a man named Casey Anderson met a grizzly bear cub and from that day forward his life was changed forever. About six years ago he stumbled across little Brutus the bear cub all alone without a mom. With out really thinking he took him into his arms, and that’s when their friendship began. And now six years later now have an unbreakable bond and they have a incredibly unique story that has inspired so many others. He raised the bear cub in his own home and when the day Brutus became too large to stay, he went out of his way to build a Montana Grizzly Encounter Rescue and Educational Sanctuary for Brutus. It is now a place where people can come and learn about bears and wildlife. Casey’s daring bear cub rescue was returned with the most amazing friendship that has brought so much happiness.